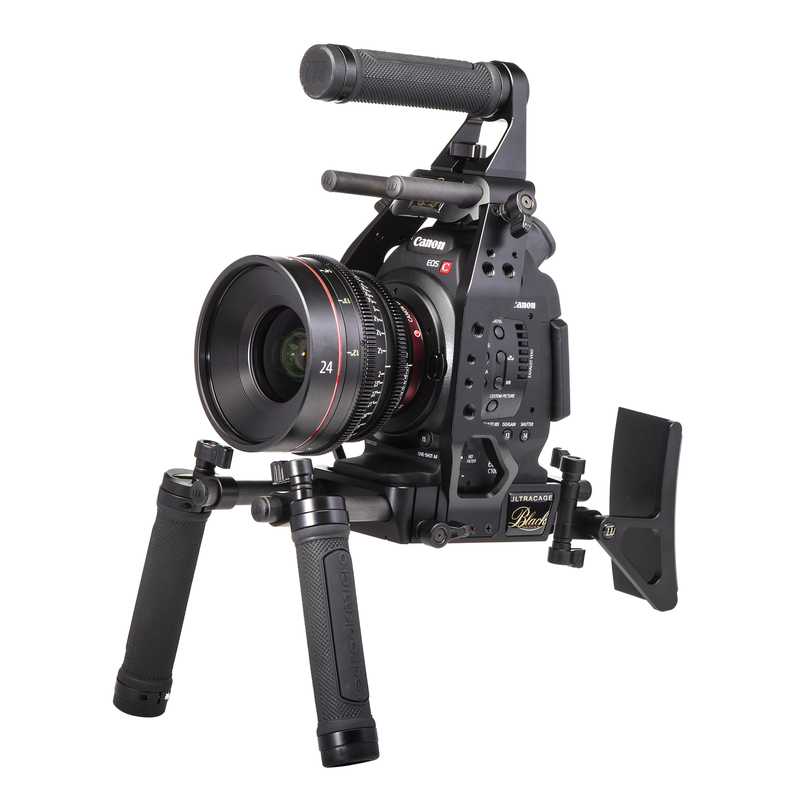 The ultraEvent Bundle for Canon EOS C100, C300 and C500 is a fantastic compact handheld rig, ideal for cramped shooting situations, or when keeping a low profile is important. The ultraEvent combines the best of Redrock's award winning cinema accessories with the new ultraCage | blue™ for the EOS C Series to make a rig that is nimble, comfortable, and discreet. Compact design- Adds very little to the C100/C300 size and form factor and still delivers maximum stability. Monitoring via the built-in camera viewfinder- the ultraEvent positions the C100, C300, C500 camera so the built-in viewfinder is easily viewable and is used as the primary monitor. Chest pad support-four-points of support for maximum stability without size. Configure and extend to your exact shooting style - every aspect of the rig can be adjusted to your body size, position, and shooting requirements. Built-in support for top and bottom rails makes adding a traditional or wireless follow focus quick and easy. Convert to other rigs quickly and easily. Powered cage option - attach the optional powerPack directly to the ultraCage for a complete power solution for all your camera-top devices.